Circles.Life has launched new campaign on Brick Phones, real bricks packaged in smartphone boxes alongside mobile accessories. This aims to shift perceptions of mobile user experience, shedding new light on what it means to be data deprived. The campaign stemmed from the insight that a cutting-edge and new smartphone will be rendered useless without enough data. VML Singapore was involved in conceptualising and producing the campaign. The Brick Phone was distributed to online personalities and public figures, including technology bloggers. This was in a bid to illustrate that without sufficient data, a new phone is only as good as a brick. 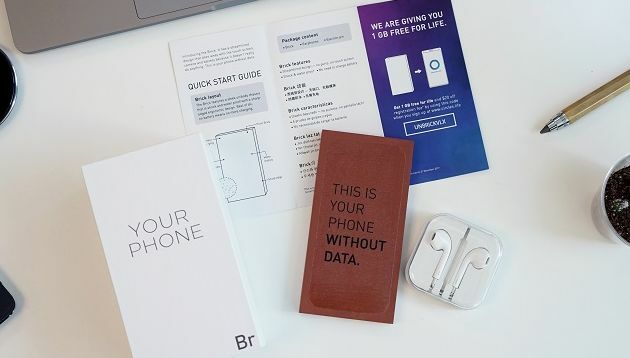 To “un-brick” their phones, recipients were given an additional 1GB of data per month for a lifetime and a SG$20 discount on registration fees from a no-contract plan with Circles.Life. The company also partnered with VML Singapore to launch a bogus Kickstarter page and a teaser video on its Facebook page, which featured the new “product”. The campaign will run until the week of 18 December 2017, with the full video posted on the Facebook page, parodying premium phone brand advertisements. Campaign assets also include 30-second and several five-second videos, an unboxing video and direct mailers. “The main challenge was that consumers were paying more attention to plan-subsidised phones instead of the actual data that came with it, when purchasing mobile plans. It was time we put a spotlight on how consumers hit a brick wall the moment they run out of data; that their experience is limited by the amount of data they have, and carrying the latest phone then becomes comparatively insignificant,” said Joaquim Laurel, Creative Director, VML Singapore. “It is about leveraging consumer attitudes, and translating that into a leading creative idea,” Laurel added. This is VML’s fifth campaign with Circles.Life since May 2017. What's next for Singapore creative and media agencies in 2018? SMRT: Has it been railroaded? Has the public been hasty in condemning SMRT or are the criticisms deserved? Marketing asks experts. ..